The Marysville Aerie 3506 of the Fraternal Order of Eagles has purchased the Stocksdale Plaza, at 700 Milford Ave., including the former Community Market grocery store along with and parking lot. Officials say tenants in the plaza will be able to stay. The former Community Market building has a new owner. 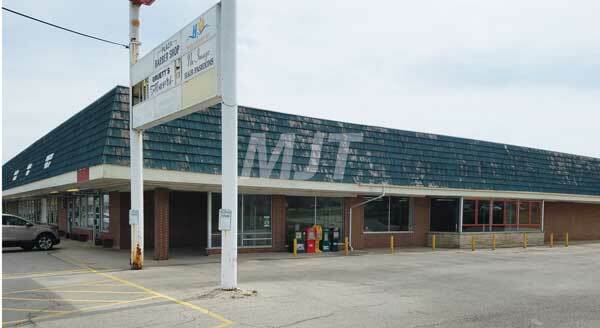 Marysville Aerie 3506 of the Fraternal Order of Eagles has purchased the Stocksdale Plaza, at 700 Milford Ave., including the former grocery store along with the parking lot. Earlier this month the organization purchased the site for $745,800. “We are looking to upgrade, size wise especially,” said Kevin Burkard, a current trustee and past president of the club. The Stocksdale Plaza building was built in 1960 and is almost 25,000 square feet. The Eagles, which has more than 700 members, currently meets at its lodge, 227 S. Main St. That facility, built in 1935 and remodeled in 1999, is 2,952 square feet. Burkard said the club would like to hold special drawings and events but the current lodge simply isn’t big enough. He said that despite the space and occupancy limits, several years ago the club went through with a special drawing. Officials would also like the lodge to offer more services to members. He said other clubs offer full service food options, which the Eagles do not because of kitchen limitations. “We would like to be able to do that,” Burkard said. Once in the new building, officials anticipate being able to open it to the public for things like flea markets and farmer’s markets. He said it could be years before the group makes the move into the new facility. “We don’t know what the city is going to ask us to do,” Burkard said. Additionally, Burkard said once the transition is complete, the current lodge along with the building at 303 S. Main St., that housed the former Goodwill store, and the building at 111 W. Seventh St., the former Bones Leather shop, will be sold. Until then, Burkard said the club will continue to meet in the current building. And the tenants in the Stocksdale Plaza building? Burkard said that while there is not timetable for the move, members and leaders are excited.